I'm proud to present Nonsensically Challenged Volume 2, the second book in the Nonsensically Challenged Series. 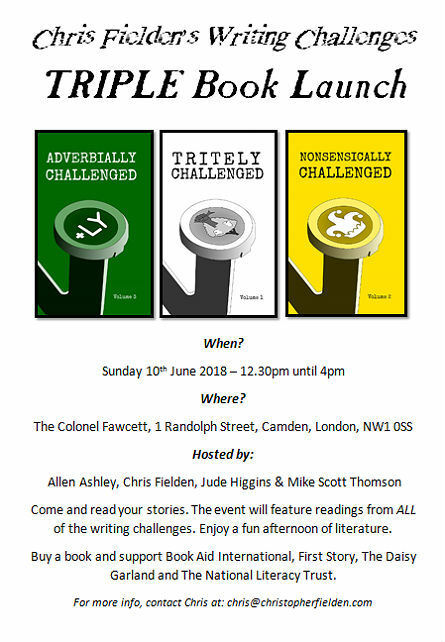 The book was officially launched on Saturday 28th April 2018 and contains 100 nonsense-encumbered flash-fiction stories, written by 100 authors who submitted their stories to Lesley's Nifty Nib-Nibbling Nonsensical Narrative Writing Challenge. Lesley’s Nifty Nib-Nibbling Nonsensical Narrative Writing Challenge was launched in November 2016. We received our 100th submission at the beginning of March 2017. Nonsensically Challenged Volume 1 was released in June 2017. 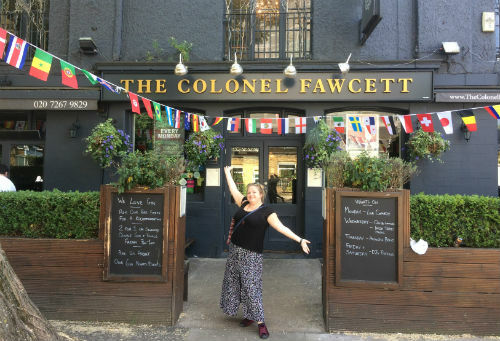 We received our 200th story in February 2018. This book was released in April 2018. At the time of writing, we’ve already received a plethora of stories for the third anthology. Nonsensically Challenged Volume 2 is available from Amazon in print and Kindle eBook formats. Proceeds from book sales will be donated to The Daisy Garland, a charity that works exclusively for children with drug-resistant epilepsy; there are 18,000 in the UK who suffer from this life-shortening illness. You can learn more in the 'about the anthology' section below. Nonsensically Challenged Volume 2 contains 100 nonsensically-overloaded stories submitted to Lesley's Nifty Nib-Nibbling Nonsensical Narrative Writing Challenge. The challenge was conceived by Lesley Anne Truchet. In 2017, I stayed with Lesley at her home in France while I was judging the To Hull And Back competition. The peace and solitude of the area she lives in meant I could concentrate on reading and complete the judging in good time. She's a LEGEND. Nonsensically Challenged Volume 2 was released on the same day as Tritely Challenged Volume 1. These books are the 6th and 7th anthologies released via the writing challenges. 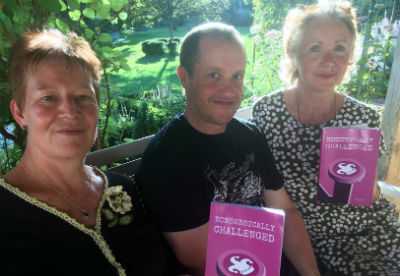 All the writers in Nonsensically Challenged Volume 2 submitted their stories to Lesley's Nonsense Challenge which is one of the many writing challenges run on my website. Abhi Shan, Abigail Rowe, Alan Pattison, Aleksandra Petrovic, Alice Little, Alicia Sledge, Allen Ashley, Ally Howie, Angela P Googh, Anita Bowden, Antony Lazarus, Betty Hattersley, Braid Anderson, Bridget Scrannage, Bryan Keefe, Chris Brawn, Christine Tapper, Christopher Fielden, Claire Apps, Cleary Mallard, Cloe Ofori, Colin Heaney, David Nilsson, David Pitts, David Silver, David Wright, Dee Tilsley, Elaine Choy, Eleanor Klein, Etheray, F. DeStefano, Franca Basta, Frank Hubeny, Gary Amaro, Gary McGrath, Gavin Biddlecombe, George Kelly, George Prior, Helen Perry, Ishmael Dube, Jack Hanlon, Jacob Kyte, Jade Swann, Jason Primmer, Jeanette Everson, Jerome Heath, Jessica Reid, John Notley, Jonathan Martindale, Jonathan Ochser, Judy Dykstra-Brown, Julie Stone, Kathryn Evans, Kim Montgomery, Klaus Gehling, Kristie Claxton, Larry Lefkowitz, Layne Houck, Lesley Anne Truchet, Liam Arnull, Lizzie Merrill, Louis Cennamo, Louise Craig, Lucy M, Lynn-Marie Harper, Maddy Hamley, Malcolm Richardson, Marco Carshaw, Martin Strike, Mary Walker, Melissa Steffy, Michael Pickard, Michael Rumsey, Mike Scott Thomson, Munib Haroon, Neil Driscoll, Nick Nelson, Nicomedes Philopator, Paddy Placename, Paul Shaw, Pauline Robinson, Petra Jedlickova, Prajith Menon, Rene Astle, Robbie Porter, Rose Cheung, Sam Nichols, Sandra Orellana, Scarlett Fielden, Simon Russell, Soraya Dhanani, Soulla Katsiani, Stan Riley, Steve Lodge, Stuart Atkinson, Tamara Miles, Tanya Butler, Tim Jones, TS Lanchbery and Will Hartley. I'd like to say a big, "Thank you," to each of the authors. Without their generosity, this anthology wouldn't exist. For every book sold, £1 will be donated to The Daisy Garland, a leading charity providing funding for Ketogenic dietitians and grants for night-time breathing and SATs monitors, keeping children safe while they sleep and reducing the risk of SUDEP. You can learn about The Daisy Garland on their what we do page. If you'd like to submit a story to the nonsense writing challenge, you can do so here. Every story is published. Each time we receive 100 stories, we publish a book. The event was a triple book launch because we also celebrated the launch of Adverbially Challenged Volume 3 and Tritely Challenged Volume 1. 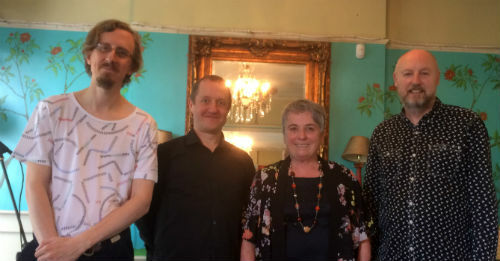 The event was hosted by Allen Ashley, Chris Fielden, Jude Higgins and Mike Scott Thomson. 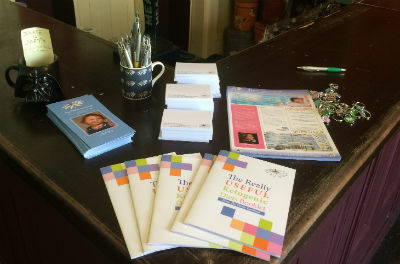 You can learn more about the launch party, the sales statistics from launch day and see more photos on the main writing challenge book launch page. 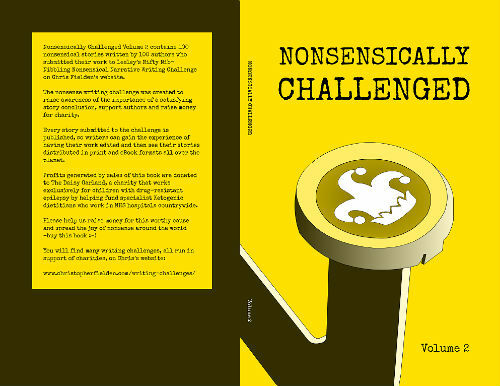 The cover of Nonsensically Challenged Volume 2 was designed by David Fielden. 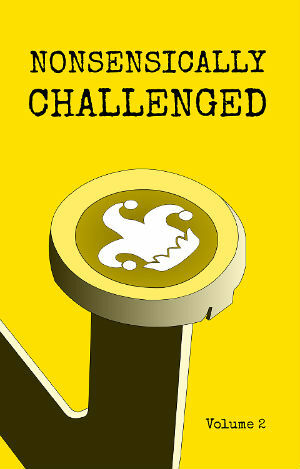 Yellow is said to be the colour of madness, so Dave thought it suited a nonsensical book. He also thought that the most fantabulous shade of yellow he had ever seen was on the Kill Bill movie poster. 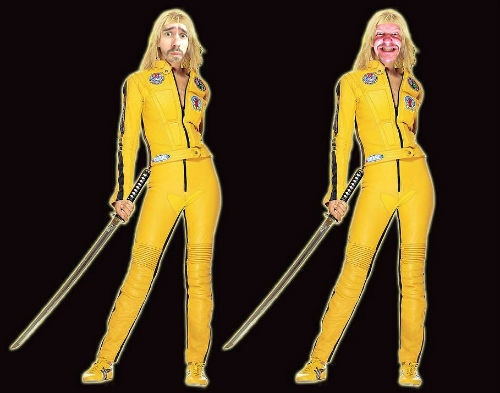 Dave likes to wear yellow jumpsuits and play with sharp weaponry. Hence, he is currently serving time at Her Majesty's pleasure in a secure facility for special people. Thankfully, she still allows him to make the odd book cover and design websites. You can learn more about that here.